I have been praying about what to write about. A friend said she read through Jude and the Lord had me on a book that was really quite similar in its teaching. So, I ran and read Jude too and it met with the other books in the same context. I was so blown away how the Word of God makes incredible and beautiful sense. We fall for so many things. We fall for what the world decides for us that we should believe, we fall for who's running for president, we fall for all the crazy ideas that are happening, the things the media wants us to believe, the world is a place that isn't what some of us are used to anymore. It is changing but it's changing because sin has always entered in but many are more accepting of it as normal. 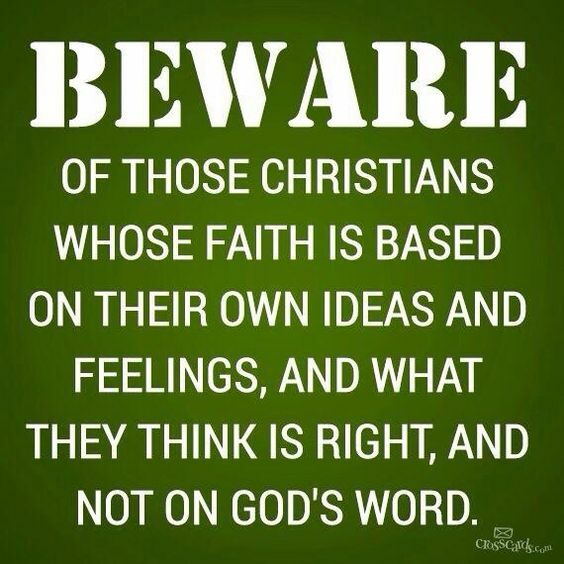 I am not here to tell you, you are right or wrong, but what the Word of God says. 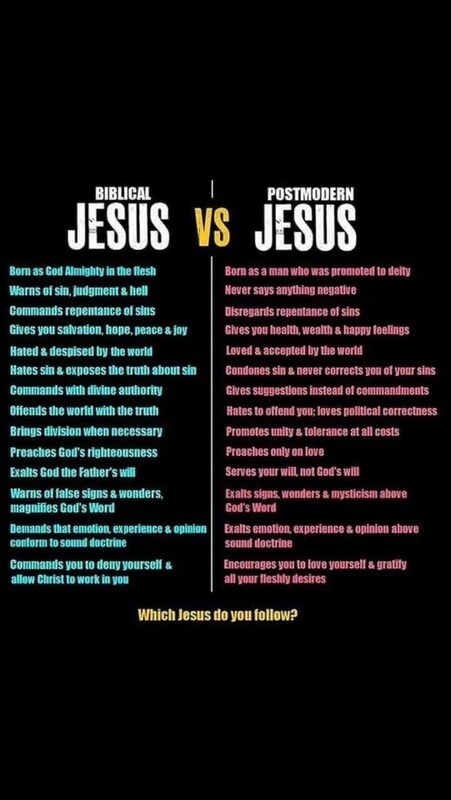 Some think that the Bible is outdated, doesn't understand the happenings of today, it's written by men, etc. Those are all the things the devil wants you to believe, and if you have believed it, he's got you hook, line, and sinker. Moreover, throughout the Word of God, it says how we should live life. Did you know you were created in your mother's womb and He knew you before your parents did because he chose your parents for you? Did you know too, that he knows every single hair on your head and desires to know everything in your heart? Did you know also, that you were created to Worship HIM only? That you were part of HIS PLAN? But, everything that the Lord desires, so does Satan. Everything, jealousy reigns in that kingdom of hell. What the devil meant for bad, the Lord your God can turn around for good. So, today, I am not going to tell you how to believe or why, but I am going to put scriptures up and you decide for yourself and see. The Lord does love, but he hates sin. He does desire your heart, but he desires you to know HIM and be obedient to HIS teaching and HIS ways. So let's start with 2nd Timothy. I am using www.Biblegateway.com and http://biblehub.com for the scriptures. 22 And on some have compassion, making a distinction;[d] 23 but others save with fear, pulling them out of the fire,[e] hating even the garment defiled by the flesh. Now, look, all the way through the New Testament we find God's Word on the things that are not suppose to be okay. Throughout the entire WORD OF GOD, he continues to warn us and tell us. Yet, we still will walk away and say God is a loving God. He is a loving God, nevertheless, we must walk in obedience to Him to really know that LOVE you talk about. 6 Your glorying is not good. Do you not know that a little leaven leavens the whole lump? 7 Therefore purge out the old leaven, that you may be a new lump, since you truly are unleavened. For indeed Christ, our Passover, was sacrificed for us. [c] 8 Therefore let us keep the feast, not with old leaven, nor with the leaven of malice and wickedness, but with the unleavened bread of sincerity and truth. We are not to judge those that are not Christ followers, but those that are. We are to help them walk away from the sin they have chosen. However, the world says we are judgers, we are bigots, we are .... . But that's not what Scripture says for us. 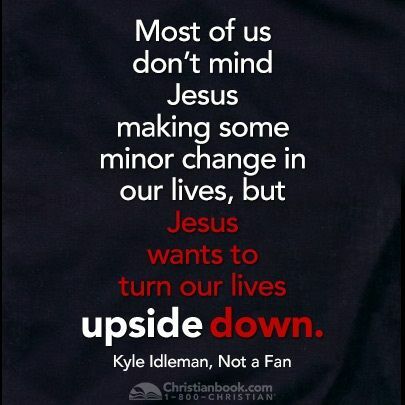 If we are true Christ followers, not just fans, we will work to be obedient and right in the eyes of the Lord. But why, why do some still walk their own way without knowing that they have? Because, sometimes we believe God isn't talking to us about our own stink. We may believe we are better than that, or maybe, just maybe we believe we don't have to. Ya know, we know Jesus and we will get to Heaven. 6 Now these things became our examples, to the intent that we should not lust after evil things as they also lusted. 7 And do not become idolaters as were some of them. As it is written, “The people sat down to eat and drink, and rose up to play.”[a] 8 Nor let us commit sexual immorality, as some of them did, and in one day twenty-three thousand fell; 9 nor let us tempt Christ, as some of them also tempted, and were destroyed by serpents; 10 nor complain, as some of them also complained, and were destroyed by the destroyer. 11 Now all[b] these things happened to them as examples, and they were written for our admonition, upon whom the ends of the ages have come. 23 All things are lawful for me,[c] but not all things are helpful; all things are lawful for me,[d] but not all things edify. 24 Let no one seek his own, but each one the other’s well-being. 27 If any of those who do not believe invites you to dinner, and you desire to go, eat whatever is set before you, asking no question for conscience’ sake. 28 But if anyone says to you, “This was offered to idols,” do not eat it for the sake of the one who told you, and for conscience’ sake;[f] for “the earth is the Lord’s, and all its fullness.”[g] 29 “Conscience,” I say, not your own, but that of the other. For why is my liberty judged by another man’s conscience? 30 But if I partake with thanks, why am I evil spoken of for the food over which I give thanks? 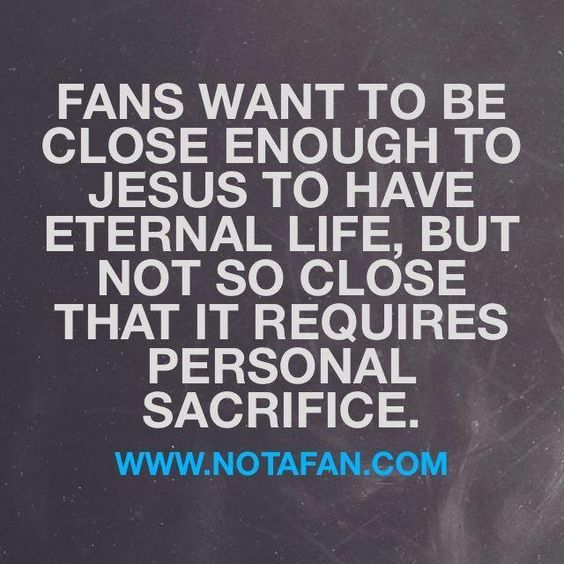 So, how do we live as a Christ Follower and not a fan? How do you find a new friend? You talk, some talk the surface stuff while others talk the deep stuff. I am the latter one. I find out we have a few things in common. We chat back and forth, we go somewhere together, we get to know each other, right? Well, the same with Jesus. Open up the WORD of God. Then talk to Him about it. Tell Him what you read and did it change your thinking? Pray about it, then talk to him about your concerns, your fears, your worries, your anxieties, your hopes, your dreams, you wants and needs. Watch your relationship take on a whole new life. But it does start with 2 steps, GET INTO THE WORD OF GOD. 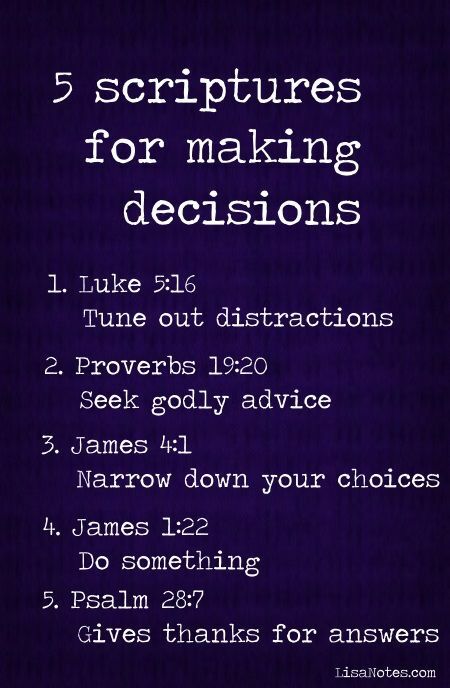 Don't just read through the Bible, READ the Bible to get through you. Then talk to HIM about what you read and see how it transforms you. Talk about HIM to others, not preach but just talk to others, God will open those doors to do that. Find a place to belong that accepts Jesus and YOU. Find out who Jesus is and why God sent HIS only Begotten Son. For whoever believes in HIM shall not perish but have everlasting life. But when you believe in someone, it's because you both know each other intimately, deep down. He wants to know you again. Thank you for reading this. Can we pray? Father God, Abba Father, thank you for sending your son Jesus to me. Help me to know him so much deeper than I thought I could possibly do. I want to walk with you and talk with you and I want you to call me your own. You already created me to worship you and I do. Please hold my hand as I learn more about you. I will find a Bible, dig in and I will talk to you as if you are sitting right here next to me. Jesus come into my heart and be my forever friend. I am sorry that I ever doubted your love for me and my walk with you hasn't been great. Forgive me father as I forgive myself for not doing it. I love you Father God, Jesus the Son. Holy Spirit come in and be my counselor, my guide, my words. In Jesus' mighty name, amen!